Mini farm in Check, sitting on 9.58 Ac. with 360 degree Mountain Views. Sit out and relax on your Gazebo over looking Floyd County Countryside. 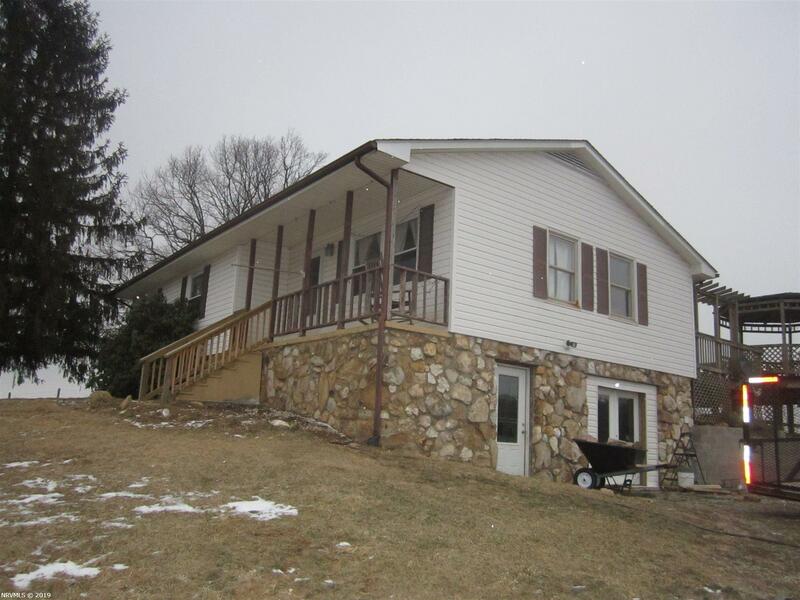 This Property offers a Beautiful 4 Bedroom 2 Bath Ranch Home. The House has upgraded Cabinets with Tile in the Kitchen and both Baths. The Living room and 3 upstairs Bedrooms has Nice Hardwood Flooring. You have a covered Front Porch and a Big back deck with a built in Gazebo. Downstairs you have a 4th Bedroom and Plumbing for another full bath. The Basement is walkout and Goes to an oversized 2 Car garage with electric and a Concrete Floor. The Field around the House is Fenced in and would be great for horses. This is a rare find in Floyd County and wont last long. Directions: From Christiansburg, Take Pilot Rd., Go 7.9 Miles Past The Pilot Post Office And Turn Left Onto Huffville Rd., By Terrys Fork Grocery. Go 1 Tenth Of A Mile And Turn Right Onto Lick Ridge Rd., Go 2 Miles And The House Is On The Right, See Sign.